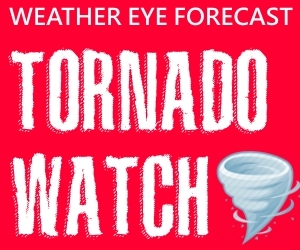 A TORNADO WATCH is in effect for Rutherford County and most of Middle Tennessee until 9pm. Severe thunderstorms with large hail, high winds and isolated tornadoes will be possible this afternoon and evening. Stay with NewsRadio WGNS for further information as we get closer to possible severe weather. Have a way to get weather watches and warnings. NewsRadio WGNS along with Gil's Ace Hardware in Smyrna offer a free text service. When weather bulletins are issued, we will text watch and warning information to your phone. Go to www.WGNSRadio.com/text.